rn6010 - 6mm clear ab diamonte rondelles. pack of 6. 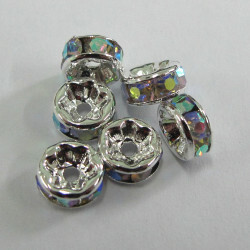 > Beads>Crystals>Diamonte Rondelles>6mm clear AB diamonte rondelles. Pack of 6.